Bought two retractable lines to join together. Opened them and tried them. They are very stiff and do not stretch 14 feet. Can’t return something opened I was told. Well how can you try them if you don’t open package. May as well have thrown $60 out the window. I have only used it for a few days but so far I am pleased with it. I was using a 25 ft but it was to long and I had to keep taking the knots out. My regular supplier (the one that I got the unit from) keeps supplying me with 50' hoses to drag all over my bedroom! Way to much! I keep telling them to STOP but, hey, who gets paid to listen these days! Anyway, this 14' is even a bit too long...but I spotted a 4' that will work perfect. Bye...I'm off to order the 4'! With the 4 ft.cannula, the 14 ft. tubing is the exact length I need for comfort without tripping over excess tubing. Perfect size for my needs, other sizes kept getting tangled this size does not. Very happy with the product. Tubing wait was thinner than I thought it would be. After testing it seem to be crush resistant. Received order within stated shipping period . I'm satisfied with my order experience with this compamy. I only need oxygen at night and at altitude so this length works perfectly for both. 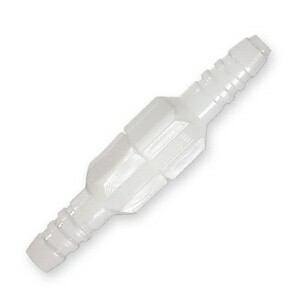 I combine it with the 7 ft. cannula and then only use the 7 ft. when using with my portable machine at altitude. The combination cuts down on what has to be packed for travel. I also like that this tubing straightens out better than other brands; also better for travel in that regard, it can be coiled for packing and not kink when uncoiled. 25 feet was too long, 7 was too short. These are just what I wanted. Quality seems good, Price and value is great. 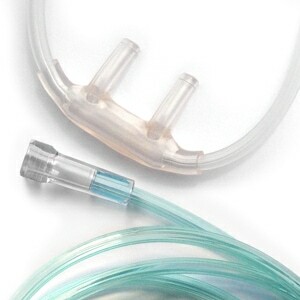 The clear tubing is softer than the green tubing and easily compresses with little pressure. It would be more prone to kink. The tubing performs as stated, crush-proof and less tangling. I used to use a 25' oxygen line which would tangle and even become pinched reducing oxygen flow. It would untangle with a little effort, however, it's an unnecessary chore. I switched to using two 14' lines with one 7' line and two swivel connectors. This configuration worked much better. The lines might coil a bit, but never tangled or pinched oxygen flow. My only issue would be that the swivel connectors sometimes catch on corners tugging at the line. This is easily avoided by just paying attention to your walking path, perhaps moving items if possible. 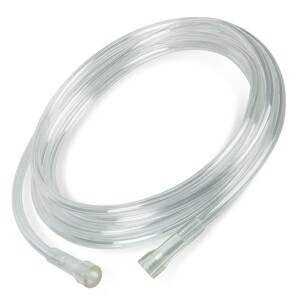 My local supplier of oxygen supplies said the only sizes available for oxygen tubing was 7 ft. and 25 ft. tubing. The 7 ft. was too short and the 25 ft. was too long. Thanks to Direct Home Medical, they had a 14 ft. tubing that was just the length I needed. The price was right, too. Once I ordered, the delivery time was excellent. Next time I need oxygen tubing I will order through Direct Home Medical. I found the products I ordered were exactly what I needed. The price was excellent and the delivery was fast. This length is not available from my local supplier. It's the one I use the most. Fast service and great prices. I like this length for myself I use oxygen at all times but this is long enough. Very good product. I do think you should make it a little clearer that this tubing can be used for the same purpose as the single bore tubing. I wasn't sure that it could be and found it a little confusing when I ordered since I had never heard of it before. It is just what I needed. Thanks. This is very good quality, Am pleased with my purchase. It was hard to find the shorter length we needed, I searched several sites. Yours was the only one with the shorter length and it of good quality and price. Qudos to you. You have a permanent customer. you give a good selection and a good price, and deliver in short time. THE SUPPLY TUBING WAS REALLY WHAT THEY CLAIMED IT TO BE..BUT UNFORTUNATELY, IT WAS NOT WHAT I NEEDED,,,,I GOT IT FOR MY MOM, BUT SHE NEEDED A LOWER FLO STYLE OF TUBING..BUT IT WAS A NICE PRODUCT. Added to my 50' tubing I can go anywhere in the house and even l take the dog ouside. Good Quality tubing. I would have preferred to purchase a 25Ft. length instead of joining two 14Ft together. This makes it a little more difficult, as the connector gets caught under furniture. For my needs the 25Ft is ideal and the 50Ft is far too long. This tubing works well for me and I like the type of tip it has. It did have a pretty strong plastic odor at first, but it dissipated within a couple hours. I am very pleased with the prompt filling of this order and the hassle free delivery.